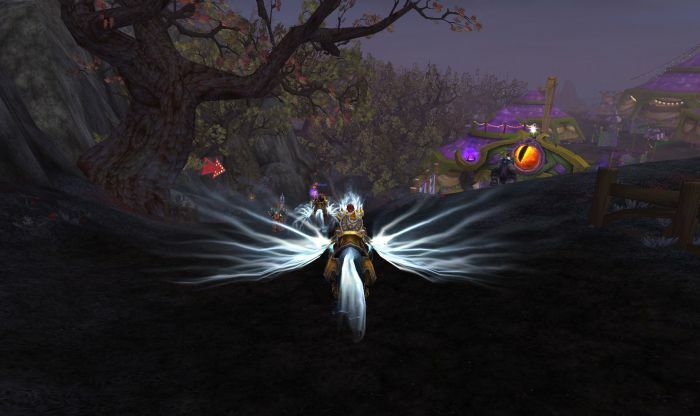 Changes to the Darkmoon Faire #WoW – Nomadic Gamers, eh! There is an all-new selection of things to do at the Faire including some awesome new games, loads of quests, and new pets and mounts to collect. Wowwiki.com has a great write up of the new event and if you’re an achievement seeker you’ll find new ones added to your achievement window. I had a blast in the shooting gallery (literally), although I did discover that I’m not very good at the human cannonball. Maybe next month I’ll finally be able to get that bulls-eye. My favorite part of the faire this year was fishing up a little seahorse that is trapped in a bubble players can drag around as a pet. Of course it does inch me closer towards having 100 companion pets, so I am a bit biased. If you didn’t check out the faire while it was in town this month, don’t worry, there’s always next month! If you did manage to check it out, what did you think? Is it an improvement over the old version? In general, I’m okay with the concept that cosmetic rewards will take a long time to acquire. I’m less fond of having to drop everything for a week because the Faire is only open at specific times. If the Faire quests were monthly (7), I’d be 100% happy.